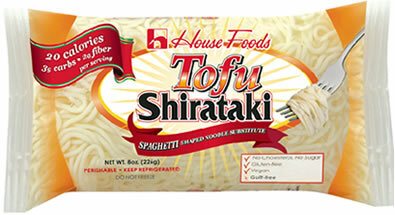 tofu shirataki noodles | What's Cooking at the Genua's? Ever have one of those days when you just want to clean everything out of your fridge but you can’t throw it away because it’s still ok to eat? I did that last week. I had a bunch of little containers with leftover veggies, leftover rotisserie chicken from the supermarket and a freezer full of turkey stock I made from the my Thanksgiving in July dinner. You can use whatever you have left in your fridge or freezer and it will be delicious! I had some frozen mushrooms also that I threw in. It was very tasty! We actually had it two nights in a row. 1 15-16oz. can cannellini beans drained and rinsed. 1. Saute the chopped onion and garlic in the olive oil. 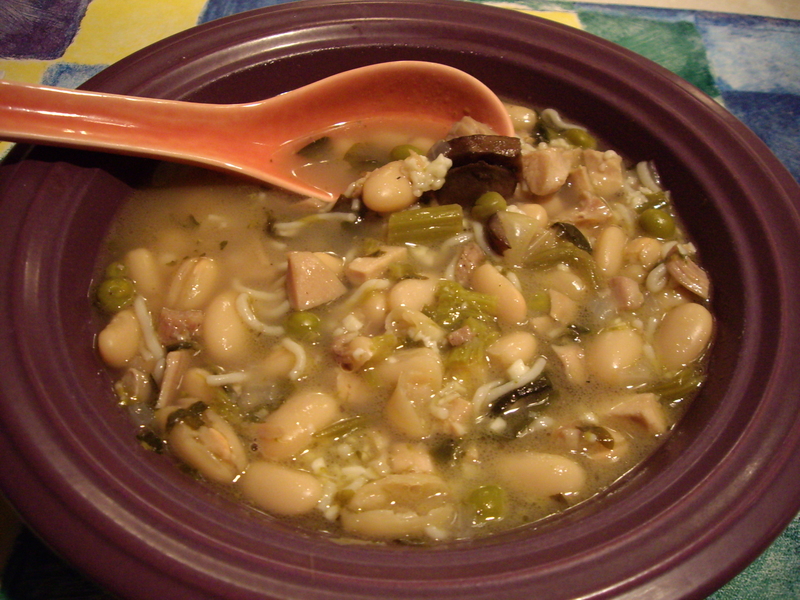 When soft pour in broth and rest of the ingredients except for the beans, parsley and noodles. 2. Bring to a boil and then lower heat and simmer for about 15-20 minutes until everything is heated through. 3. Add the beans and noodles and continue to cook for another 5 minutes or so until the beans are heated through. Add the parsley and serve. 4. Serve with parmesan cheese if you like! I know I have already posted a beef stroganoff recipe but this is a different version of that recipe. 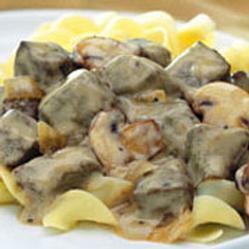 Most stroganoff uses stew meat and heavy cream and noodles. Not this recipe. 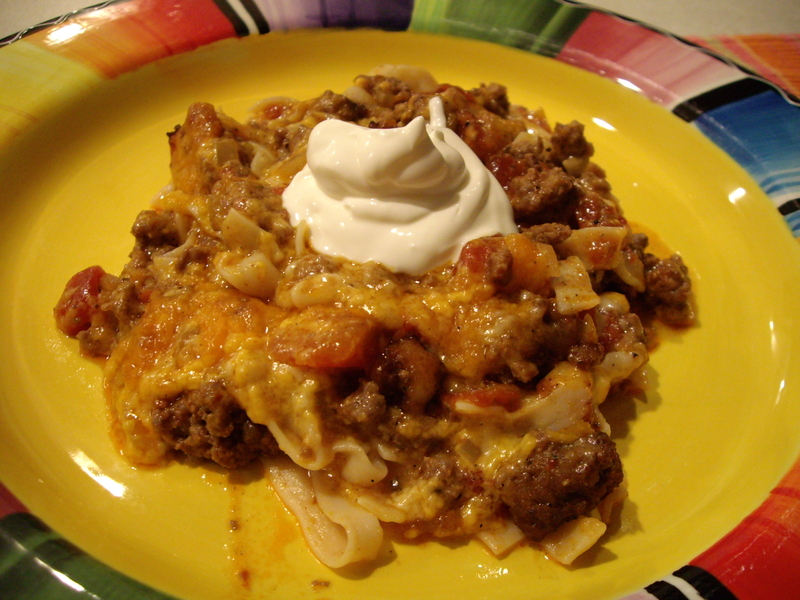 In my version I substitute lean ground beef for the stew meat, fat-free half and half instead of cream and my favorite low-calorie noodle, Tofu Shirataki Noodles! 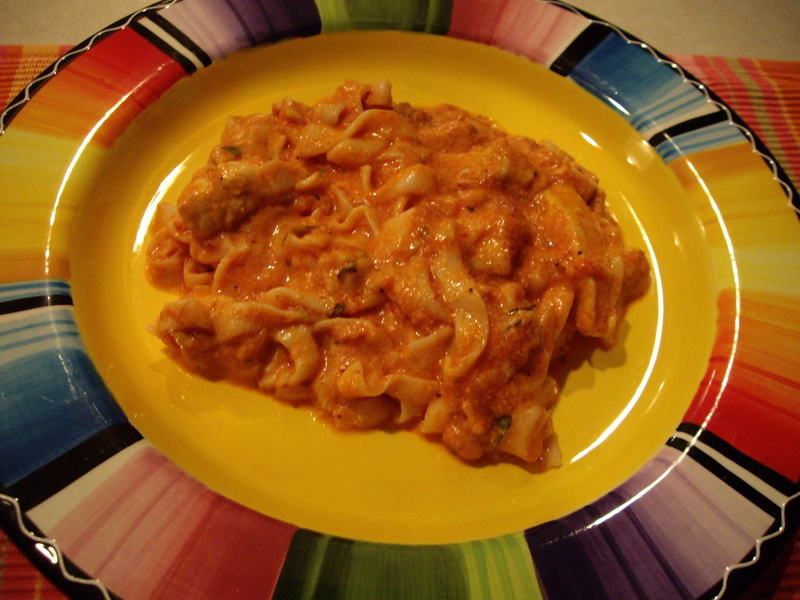 It sort of looks like hamburger helper but tastes so much better. It is easy and doesn’t take a very long time to cook. 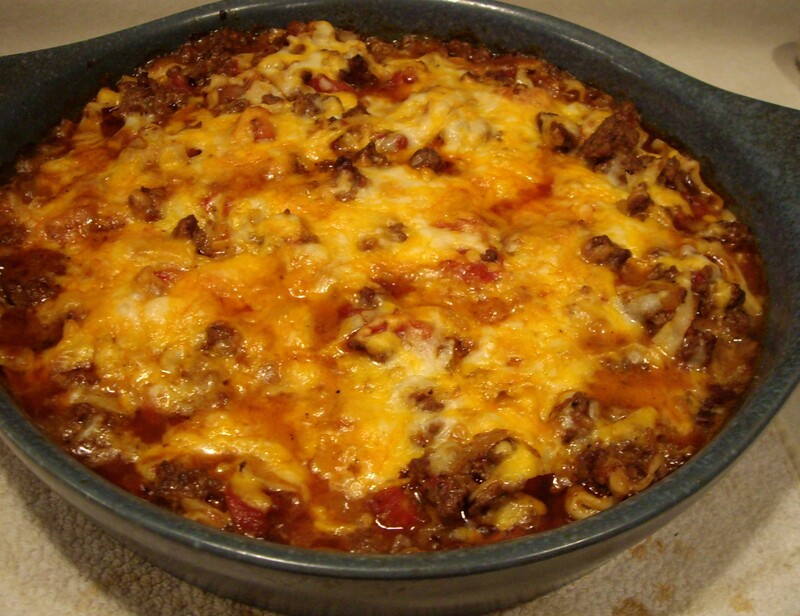 I’m always looking for ground beef recipes other than meatloaf and chili and I found one. 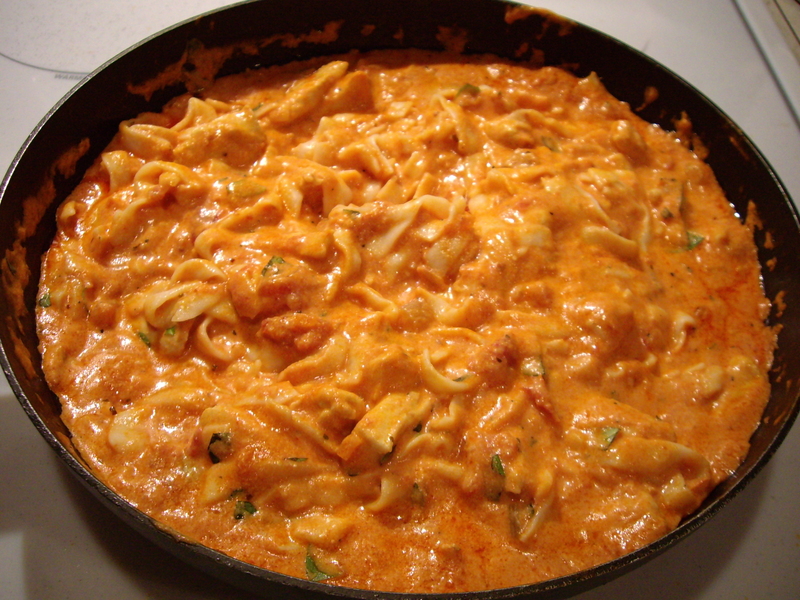 ¼-½ cup fat-free half and half, use as needed to thin the sauce a little. 1. In a large saucepan sauté the onions in olive oil till they start to soften. Add the garlic and continue to sauté till light brown. Remove onions and garlic from pan and set aside. 2. Add ground beef to same pan and cook until brown. Drain off excess fat. Return the onion and garlic to pan as well as the basil, oregano, and parsley. Stir thoroughly. 3. Stir in cream of mushroom soup and the Laughing Cow cheese. Stir till the cheese is melted. 4. Add the sour cream and stir till mixed in. Add ¼ cup of the half and half. If needed add more of the half and half until sauce is thinned a little. It shouldn’t be too thick. 5. Add the prepared noodles and stir in thoroughly. Add salt and pepper to taste. They can be found in the organic section of the produce department in most supermarkets and come in a pouch with water. They must be kept refrigerated and not frozen. They come in Fettuccine, Angel Hair and Spaghetti shapes. I always have at least 2 bags on hand in my refrigerator. Even my husband likes them! I adapted this recipe to make it lower in calories and fat but if you do not like egg substitutes please use 2 eggs in its place. 1. Prepare noodles according to package directions. Cut into 2-3″ lengths. 2. Combine eggs, biscuit mix and seasoning in a bowl. Stir in the noodles, scallions and zucchini. 3. Heat a flat skillet over medium heat and add 1 tablespoon butter. When it’s hot, scoop 1/3 cup of the mixture at a time onto the skillet, like making pancakes. 4. Cook until the bottom is golden brown. Flip and cook the other side until golden brown. 5. When finished place on a platter and keep warm. Make remaining pancakes until finished. Makes about six 4″ pancakes. Each pancake has about 95 calories and 5 grams of fat. With the regular eggs it will be about 110 calories and 7 grams of fat. You can also add a little soy sauce to the finished pancakes for some added flavor. I really love beef stroganoff but with all the fat calories in the sour cream and other rich ingredients I never make it anymore. Till now that is. This recipe uses a slow cooker or crock pot. Most of us have one somewhere in our cabinets so take it out and get ready to make this simple dish. I used to use our crock pot to heat wine for my mulled wine recipe in the fall. No more! Now I use it all the time. I even went out and bought a brand new one! I have an old one from my first bridal shower way back when and it still works but I wanted a more up-to-date model. Serve this dish with no-yolk noodles or my favorite Shirataki Tofu Noodles keeping it low cal! This recipe calls for fat-free sour cream and 98% fat-free soup, but you can substitute the lightversions for it as well, adding a bit more fat to the recipe but it’s still lower calorie. 1. 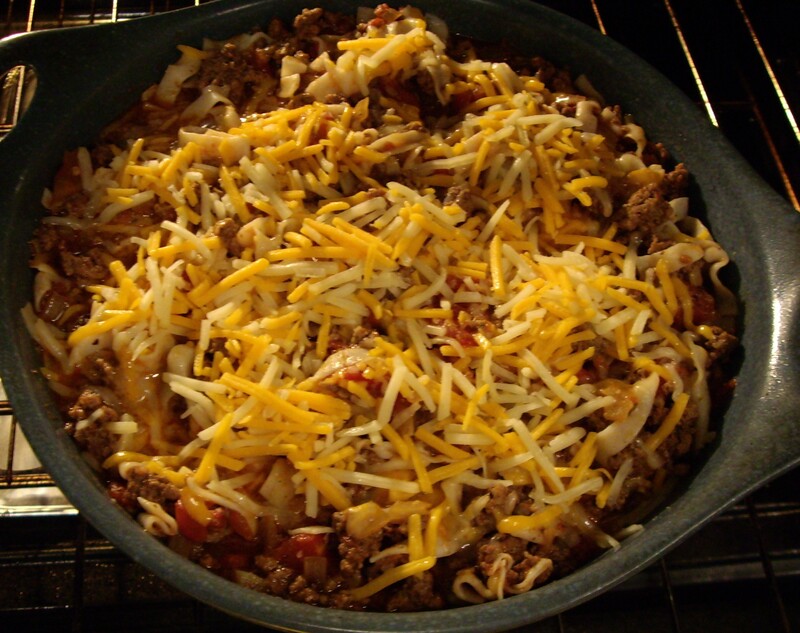 Combine all ingredients except for the sour cream into the slow cooker. Best size slow cooker for this is 4-quart but any size is ok.
4. Cook on high for a few minutes more to heat the sour cream. Serve! Per serving (if made as shown above): 240 calories; 7 grams fat, 15 grams carbohydrates, 800mg sodium, 1 gram fiber, 6 grams sugar, 27 grams protein, 75mg cholesterol. If calculating points the each serving is 5 points, without the noodles.